We know you can do champi at home, but you need a professional who is well aware of the right pressure points on your scalp that would improve blood circulation in your scalp and boost healthy hair follicles. The oil will seep deep into your scalp and work on nourishing the hair. Apart from this a good head massage will unwind the stress from your body muscles and bring a relief from stress, headaches, migraines. So if your hair looks dull, frizzy or anything that is just not appealing then a deep hair oil treatment will do wonders and make your hair bouncy and glossy. Give some love to your hair with an elaborate hair spa that would change your hair game within hours. For all those who are suffering from hair woes like hair fall, damaged hair, frizzy, dandruff and other troublesome issues, then hair spa is the right treatment for you to indulge in a salon before the festive season. 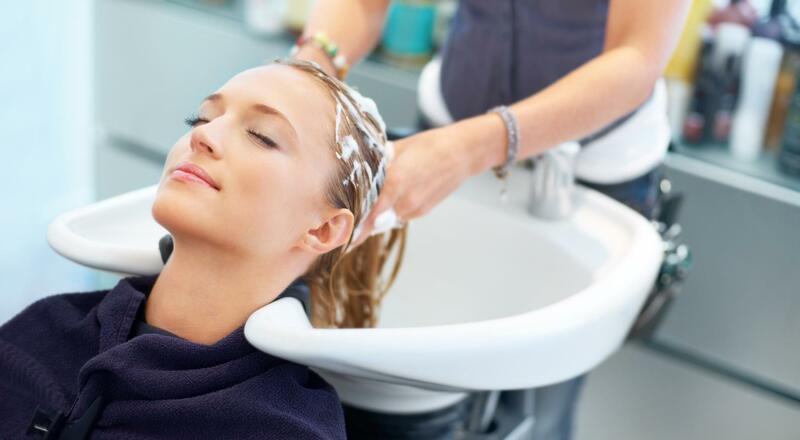 Hair spa involves 5 steps – shampoo, conditioning, hair mask, massage and steam. Shampoo and conditioning will clear your hair from dust, pollutants whereas hair mask will work on your hair issues and nurture your hair. The best part is the massage which will stimulate blood circulation, encourage hair growth and most importantly destress your upper body muscles and let you escape from the worldly tensions. The final step in hair spa is steam, which retains moisture in your hair and gives a smooth, glossy finish. We bet that you would be on cloud nines with your hair transformation and yes, you just can’t stop touching your bouncy locks. Who doesn’t enjoy sleek straight hair? But instead of opting for keratin treatment go for the safest and probably the best treatment for straightening the hair – Cysteine. Cysteine is the newest hair straightening treatment that is rich in amino acids, restructuring proteins, that will relax your hair and make it super smooth, shiny and straight. The best thing about cysteine treatment is that it has no formaldehyde or any chemicals that could be harsh for your hair. If your hair is damaged or lustreless then you could definitely revitalize your hair with this stunning treatment. A Cysteine treatment lasts for around 6 months and costs around 7000-8000. Feeling experimental this festive season? Then why not give a little makeover to your hair with hair coloring? You can opt for global hair coloring or highlights the choice is always yours, just make sure you opt for ammonia free products that are safe for your hair. Also, prior coloring do a good research on which hair color would suit your skin tone, however burgundy, red, golden, mauve is flattering for Indian skin tone. For all those days when you have no time for an extravagant facial, you can stick to the life saviour skin treatment- face cleanup. A clean up is a perfect way to throw out the impurities from your face, unclog the pores, lighten the skin tone, protect your skin from acne and bring the perfect party glow. It involves 5 steps – cleansing, exfoliating, toning, face pack, and moisturizing. Clean ups don’t indulge in elaborate facial massage and focus mainly on imparting the perfect glow. The best thing about face cleanup is that it is suitable for all those girls under 25 years too. If you are going for a facial before #Karwachauth or #Diwali, give a 5-6 days gap after getting a cleanup. You should first get a cleanup and then go for a facial after 5-6 days of getting a cleanup! The world is going crazy about detox and a detox facial is all you need for the festive season. A detox facial is a healthy way to expel all the impurities, dirt, grime, pollutants, excess sebum that have made your skin their home. So along with a healthy glow, rebalance your skin with healthy nutrients, vitamins and minerals that would make your skin youthful and ravishing. If you have dry skin, oily skin or sensitive skin, a detox facial would focus on reviving your skin in the best possible way. 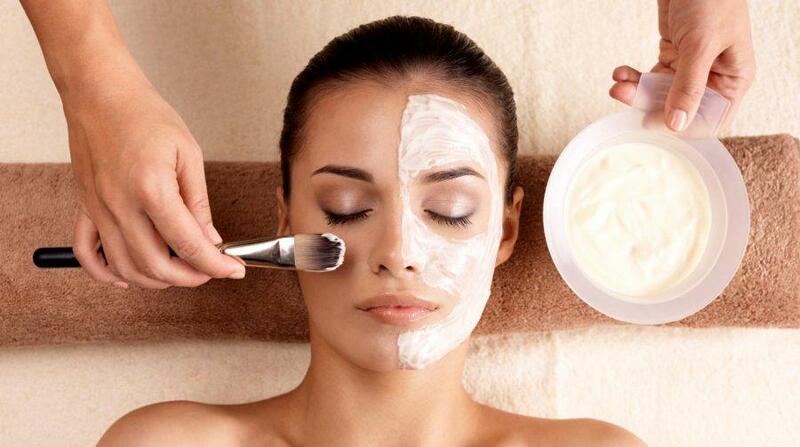 Tip: it is best to pick a detox facial based upon your skin issues. Worried how to beautify your sensitive skin? Then try an enzyme peel which is gentle and safe for all skin types and is supercharged with benefits. Fruits that are rich in enzymes such as papaya, pumpkin, pineapple are blended together and used for removing dead skin cells, blackheads, pigmentation, scars, age spots, wrinkles and various other blemishes. It speeds up the renewal of skin cells and makes the skin bright and soft. You can opt for a chemical peel too, but it might cause redness or damage to the skin, whereas enzyme peel is safe for the skin and is highly effective. Say goodbye to uneven skin tone, blemishes with the famous Microdermabrasion treatment. It’s good to indulge in one or two sittings of microdermabrasion before the festive season if you have acne, dark circles, scars and pigmentation and are planning to make your skin look flawless for the festive season. In this treatment, tiny crystals are sprayed on your face, which gently removes the topmost layer of your skin and treats skin imperfections such as scars, age spots, discoloration, sun damage and other flaws that are bothering you. At the end of the session, your skin will feel rejuvenated, softer and smoother. One sitting of microdermabrasion can cost around Rs. 1500-2000 if done from a reputed dermatology clinic. Pamper your hands that work all day long at work and home with a fabulous paraffin wax manicure. Paraffin wax manicure will stimulate blood flow, open up pores, soften hard muscles, increase skin elasticity and allows hydrating elements to enter deep into the skin leaving your hands super soft. You could opt for another manicure too, but we all know the goodness of paraffin wax and feel that every woman deserves super soft hands for all her hard work for this festive season. After a good manicure, you ought to try the in-trend acrylic nails that are the perfect canvas to set your nail art. Acrylic nails are easy to maintain, look fabulous, last long and are cost effective. The only con is that it can damage your nail bed, but you can ignore that if you take care of your nails properly. However, if you are looking for a glossy finish, then opt for gel nails. They are safe on nails, looks natural, but in comparison to acryclic they don’t last long. After choosing your nails, do try some cool nail art that would complement the festive season and add a glam factor to your pretty nails. If the thought that who is going to see my feet crossed your mind, then immediately book a pedicure appointment right now and your feet will thank you for this. A good pedicure not only heals the crack feet, but have various health benefits too. Pedicure enhances blood circulation, strengthens joints and prevents infection. We would suggest a paraffin pedicure that will give your squeaky clean and healthy feet. You need to look best from top to toe for Karwachauth and Diwali and hence, a good pedicure would get that special effect to your feet. Why to restrict pampering only to your hair, face, hands and feet, go an extra step and give some love to your body. Indulge in a body polish and welcome silky soft skin that even you can’t stop touching. Most ladies opt for this treatment before Karwachauth to look their best on the special day especially newly wed brides would go that extra step to look their best and hence, body polishing is what you need for super, soft, smooth skin all over. Body polish will slough the dead, dry skin cells, re-energise your body, lighten the sun-kissed skin and brighten the skin effortlessly. 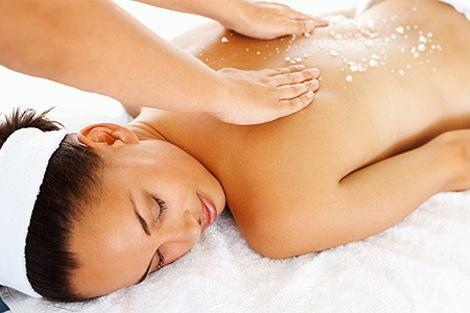 This treatment involves body scrub, body wrap and a warm shower that will take you to a whole new world. Don’t miss this treatment as the experience will be a mini vacation. After a hectic day at work all you need is a good body spa that will make you forget the worldly stress. Treat yourself with a body spa that will relieve body stress, relax your muscles and rejuvenate your mind. Discuss with your therapist about your body ailments, aches and then accordingly choose a body spa. For beginners, you can indulge in aromatherapy body spa. We bet you will feel super relaxed and refreshed with this stunning experience. We hope you are no more clueless about what all services to indulge in. Do let us know how you would pamper yourself before the celebrations begin. Previous Previous post: Best Charcoal Products in India: Detoxify Your Skin with Activated Charcoal! Next Next post: Best Lip Balms for Dry, Chapped Lips in India!